Huawei has quietly launched a new tablet called the Mediapad M5 Lite. The new tablet features an aluminium unibody build and sports a quad-speaker setup. 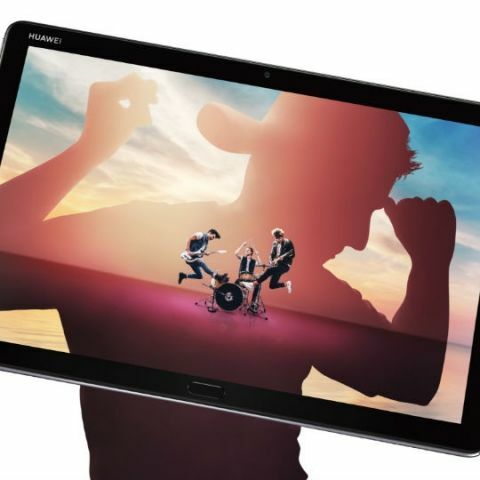 The tablet sports a 10.1-inch display with a resolution of 1920 x 1200 pixels. It also sports a display aspect ratio of 16:10. Powering the device is a mid-range Kirin 659 SoC. The Huawei MediaPad M5 Lite is available in two variants. One with 3GB RAM and 32GB of storage and the other with 4GB RAM and 64GB storage. The tablet packs a 7500mAh battery and Huawei notes that it supports the company’s M-Pen lite stylus. However, the availability of the stylus with the tablet will vary depending on the region. The MediaPad M5 Lite runs on EMUI 8.0, which is based on Android Oreo v8.0. The most notable feature of the new tablet is the quad-speaker setup. The company notes that the speakers have been tuned by Harman Kardon and feature Huawei’s Histen 5.0 sound system. The device is available in Champagne Gold and Space Grey colour variants. However, it is not yet known if or when the company will launch the device in India.